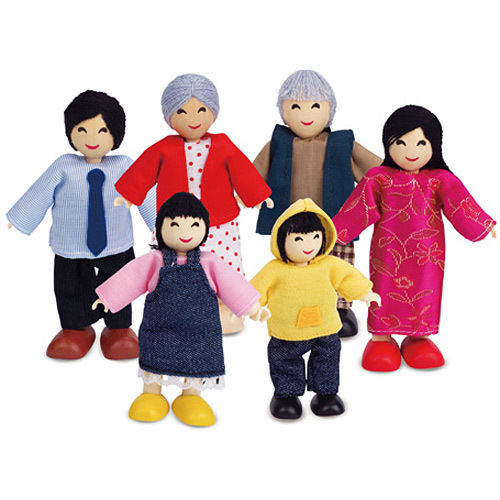 This seven piece extended family is perfect for little ones to pretend family life. Smiling wood faces, bendable bodies and chunky wood feet that make them easy to pose and stand. For ages 3-8 yrs.